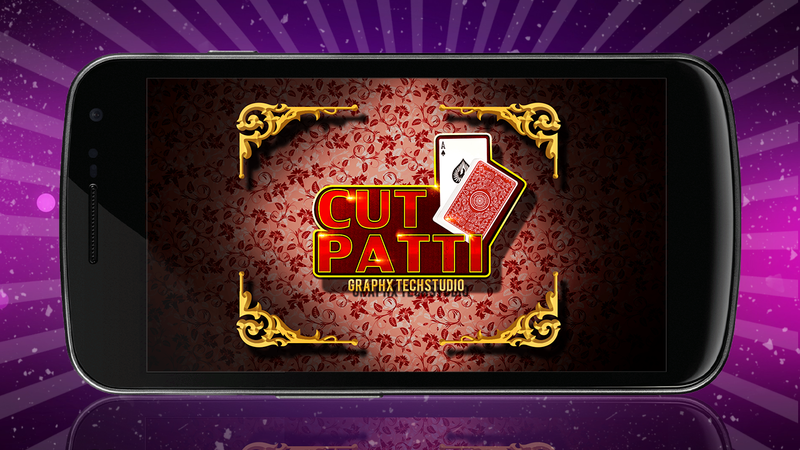 Largest Multiplayer Card GameEnjoy now Cut Patti Real timeMultiplayer Game. Live with real player. 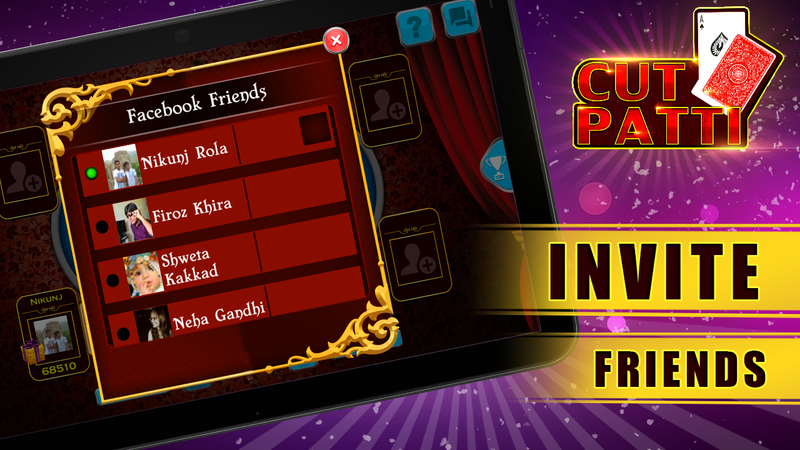 You also can invite yourfriend via Facebook who has similar interest like you. Play CutPatti game with anyone with anytime.Get 50000 chips ondownload!! 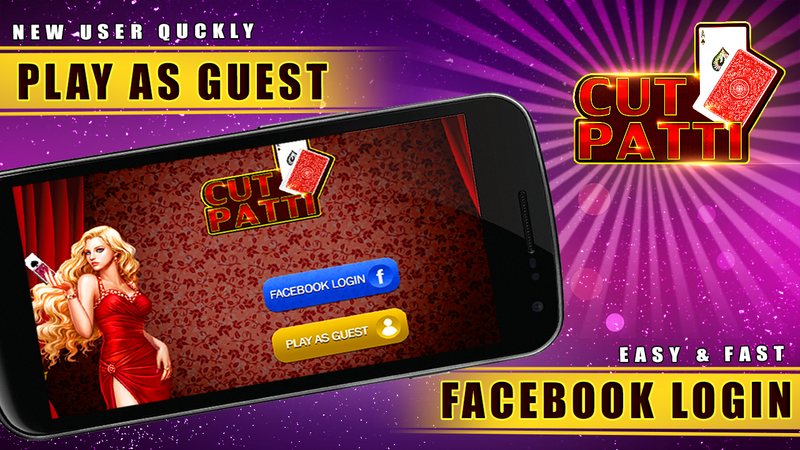 !Cut Patti Rules:Same Card WinYou can increase bet amountfour time from initial amount.Features:in game chat/message (Block/ unblock person)Personal ChatPlay on Wi-Fi/3g/2gInvites friendsfrom FacebookAvatar ChangeCreate Private roomsPurchase ChipsRefer& EarnLeaderboardNotification Guest playerFirst person gameviewGet More:Daily Bonus 10000Game TutorialCheck Player Profile forgame statistic Add template in Game chatFaster Game PlayEasy GameInterface. The tarot game dedicated to the competition! Every day, Exoty.comoffers to thousands of players the opportunity to compete for freeon leagues or tournaments Arena ! 🇫🇷 A TRUE & HONEST GAME: REALPLAYERS & RANDOM DISTRIBUTION ! The game respects the truerules of the tarot game. Beginner or advanced you will face playersof your level depending on availability, otherwise you will face aplayer of your near level. In accordance with law, the dealing ofcards is 100% random for all games and for all players and thiswill never change, NEVER ! 🏆 LEAGUES: BECOME THE BEST PLAYER ! Fromnow on, each of your games is a part of a league! The goal now isto win as many games as possible to be among the best players!There are 5 leagues with 3 levels each. At the end of the leagueget rubies to buy privileges. ⚔️ THE ARENA: THE FAMOUS TOURNAMENT !Every week is organized a Tarot's Tournament (4-players Arena). Theprinciple is simple: Win the most games in a row without everfailing to win the jackpot and medals. 💬 THE CHAT: MEETINGS &CHALLENGES ! The chat is the meeting place of the tarot's players.Express your ideas, your impressions of your last games and meetnew people, find the right partner or opponent to start a game.Also talk privately with a friend and arrange a party with him. 😎THE AVATARS: COME AS YOU ARE ... Customize your avatar to infinity:Classic, eccentric or similar to your own, you choose how you wantto appear. 💰 FREE TOKENS: SEVERAL OPTIONS ! Multiply the number offree spins with different bonuses: ● Wheel : Turn the wheel once aday to try to win up to 2000 chips. ● The Totem : Watch videosallows you to earn tokens. ● Gifts for Friends : The more friendsyou have, the more chips you will receive. ● slot machine : Feelinglucky? Try your luck during the game ! ● Free Mode : Play freewhile watching ads and earn tokens ! ● Quest : Finish smallmissions to win chips ! 🍹 SURPRISES: FOR MORE CONVIVIALITY IN GAME! For more conviviality offer and receive during the game somesurprises from a wide choice of cocktails, petits fours oraperitifs. 📱WHERE AND WHEN YOU WANT: COMPUTER, MOBILE OR TABLET !You can play the tarot's game on any devices: Mobile, tablet orcomputer! All with only one account. ℹ️SUPPORT: WE KEEP IN TOUCH !Help us improve and evolve the game, we are available via the chat,the Facebook page or mail ([email protected]), to answer ALL yourquestions ! More than 30 millions games played os of today! Thanks to everyonefor helping us reaching such a great success, and making this anawesome and enjoyable game! Scopa Più is the new multiplatformscopa game, developed by Spaghetti Interactive Srl and availablefrom today to the amazon kindle fire and android users. With ScopaPiù you can challenge your friends, chat with them during a match,and also meet new friends using our interactive matchmaking system,which allows anyone to see who is online in that moment waiting fora challenge and choose another player to play with. You can alsoplay in Single mode against 3 different levels of difficulty, basedon probabilistic calculations that will keep entertained anyplayer, from beginner level to advanced. The game AI makescalculations based on the data that both players know, just like areal game played at the bar behind the corner! On top of this, wegive anyone the choice of playing using their favorite traditionalcard deck. This allow anyone to play against people from any otherregion, that would otherwise be impossible in reality as many carddecks are completely different from others. We've integrated 17different card decks, gently offered by the italian card producerTeodomiro_Dal_Negro SpA (www.dalnegro.com)* Don't wait any longerand start playing now! you'll find many opponents waiting for achallenge, join other 400 thousand and more players actively usingour platform today, and measure your skills entering theleaderboards! Please let us know what you think and anycritics/suggestions using the "Feedback" area that you can find inthe internal menu, or you can send an email directly [email protected], or just visiting our Facebook pageat http://www.facebook.com/scopapiu or our website athttp://www.scopapiu.it Have fun with Scopa Più! (*) We'd like tothank Teodomiro_Dal_Negro SpA (www.dalnegro.com) for providing thetraditional card decks used inside this game. Play the #1 Belote & Coinche game (100% made in France) withover 200,000 fans connecting each day, or play with your friends,just like at home! With our unique reconnection system, resume yourgame and never lose your Chips. We are proud to present your ournew star ambassador: Bruno Solo. Maybe you'll be lucky enough toplay a game with him! The Belote & Coinche Pro League (BPL)supervises all events and tournaments on Belote Multiplayer ; the 6Leagues (from Bronze to Elite), the Belote Tours (France orMasters) and Grand Slams, among others. Belote Multiplayer is theonly Belote/Coinche game officially RNG Certified (Random NumberGenerator) by Gaming Laboratories International, LLC (the world’sleading independent testing, inspection and certificationlaboratory to the gaming industry), ensuring an authenticexperience with a random card dealing sequence. MULTIPLAYER GAMES,ONLINE OR OFFLINE - Play Belote, Coinche or Coinche AT/NT (AllTrump/No Trump) with declarations against players online; -Organize private games against your friends or practice with arobot; - Play where you want, when you want (on a computer,smartphone or tablet) and save your progress by connecting withyour Facebook account; - Play without a connection in offline mode.THE BELOTE & COINCHE PRO LEAGUE (BPL) - Progress every weekthrough the 6 Leagues, from Bronze to Elite to compete with thebests; - Join the Belote Tour to travel across France and the World(for Masters) and win prizes; - Participate in the Grand Slam andwin outstanding rewards. WIN CHIPS - Collect a Daily Bonus eachday; - Exchange gifts daily with your friends; - Receive even morefree Chips by watching sponsored videos, inviting your Facebookfriends... Belote Multiplayer is free to play, and contains in-appads and purchases. Belote Multiplayer is published by IsCoolEntertainment. Play classic french Belote, Coinche and Belote with Declarationsfor free! Play VIP Belote now! Enjoy one of the most entertaininggames to play with people free of charge! Login today and get yourfree chips, find new friends and receive daily gifts! Play classicBelote, Coinche and Belote with Declarations now at VIP Belote! Oneof the best free card games out there! Discover a fun, friendly andstrategic multiplayer game. It is currently the most popular frenchcard game which is played with 32 cards. VIP Belote is a free cardgame - easy to understand but hard to master! It is a very fast andresponsive online card game, with modern animations for a realisticgameplay. The complete experience is underlined by HD graphics,stylish design and numerous cool features. BENEFITS - High qualitymultiplayer Belote, Coinche and Belote with Declarations. - Playwith everyone on our cross-platform online card game. Available forWEB, Facebook, all mobile operating systems and Smart TV alike. -Play Tournaments and win attractive prizes KEY FEATURES - PlayBelote, Coinche and Belote with Declarations everywhere - meet newpeople and send them gifts or simply chat with friends. - It takesless than 7 seconds for an online Invite to be sent directly toyour Facebook friends. Try it now and earn free chips for everysuccessful invite! - Entertaining gameplay and easy to rememberrules, yet challenging experience! 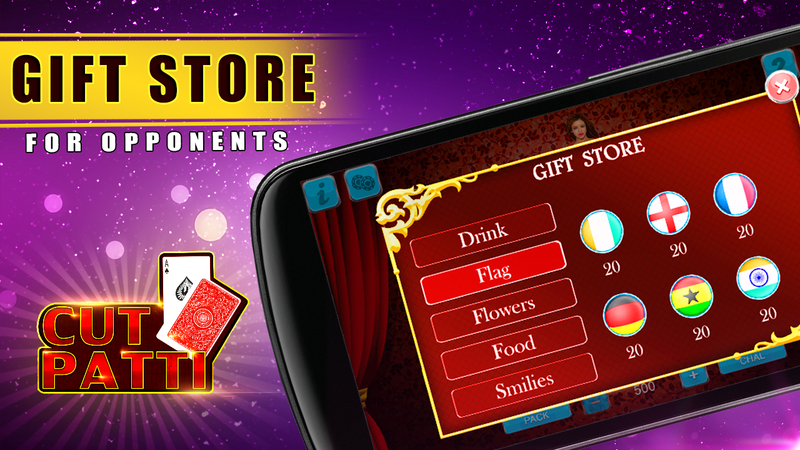 - Get free chips every day, winspecial prizes and earn gifts from other players. - Strong socialelement integrated in the game! - Ability to reconnect to a livegame if there were any connection problems! - Clever card gameartificial intelligence to replace a disconnected player. -Penalties when you leave a game to encourage fair play! REAL SOCIALASPECT - Meet new people, easy dating functionality! - Chat onlinewith friends or send them private messages! - Give and receivevarious gifts! - Get likes from other players! - Personalise yourown image gallery! - Players from all over the world. WHAT’S NEXT?VIP Belote continues to evolve! Expect upcoming releases, whichwill continue to surprise you and improve the quality of the game.TRUE FANS OF VIP Belote? Your opinion is important to us! Write usat: [email protected] The game is free to play, however in-apppurchases are available for additional content and premiumcurrency. Please note that prices may vary based on currencyexchange rates in your country. You will be given the opportunityto participate in special offers, events, and programs fromCasualino and its partners. Callbreak or Lakdi is a famous and classic card game which ispopular in India and Nepal.It is a multiplayer game played with adeck of 52 playing cards. We are bringing you the best multiplayerCall break cards game experience on your mobile phone!With thisapp, you can play Call break any time with millions of players fromaround the world. This game is full of strategy and tricks unlikeother popular gambling-based card games like Teen Patti andPoker.Download now to play Call break multiplayer cards game andget free coins!Callbreak multiplayer is a very easy card game thatanybody can learn how to play. Callbreak is the fastest Call breakmultiplayer game on Google Play and with the most smoothest,seamless gameplay even on 2G. This app has has multiple modes ofgameplay.This multiplayer online game is played in 5 rounds. Spadesis always the trump. Dealer gives 13 cards to each player. At thebeginning of the game players will bid how many card hands theywill win. The game is about winning maximum number of hands butalso breaking other people’s bids. This is called call breaking.Points are decided based on how many less or more hands playermakes than player’s bid.Callbreak is also called Lakdi, Lakadi,Ghochi in other parts of India. This multiplayer cards game isdifferent from international game Spades.FeaturesBest and smoothUI/UXFastest cards game available! Play fast and win more!Beautifulanimations and table artSend Gifts and Chat with other players fromaround the world!Login every day, win free daily bonus coins! Free Euchre card game featuring both strong computer players andonline play. - Challenging computers - Online multiplayer - playeuchre with friends or join rated games with players from all overthe world matched by their ratings (requires Android 2.3+) - Rulesoptions for Joker (Benny), Canadian Loner, Going Under, Stick TheDealer, ... - Statistics - Change names and avatars - Landscape andportrait support - Fits phones, tablets and HD phones Don't missall the fun - play euchre online for free. It's time to euchresomeone! If you like our Euchre, please, try out our other games! From the studio that brought you Overwatch® and World of Warcraft®,comes HEARTHSTONE®, Blizzard Entertainment’s award-winningcollectable card game! Collect powerful cards and create mightydecks. Summon minions and sling spells to seize control of anever-shifting battlefield. Wield masterful strategies and defeatall players who dare challenge you. Experience the magic, mischiefand mayhem with your friends. Clash with friends and join themillions of players enjoying Hearthstone, and DOWNLOAD TODAY! ANEVER EXPANDING UNIVERSE. Build your deck to harness the power ofamazing minions and spells - brave the mysterious forests of TheWitchwood and hunt the evils that lurk in the shadows, or become apowerful Death Knight from the Knights of the Frozen Throne.Discover dinosaurs and elementals from Journey to Un’Goro. Exploredark caverns and unearth hidden powerful weapons and treasures fromKobolds and Catacombs. DEFEAT YOUR ENEMIES, FIGHT FOR GLORY. Masteryour deck, and assemble powerful combos, in this fast-paced cardgame of cunning strategy. Seize control over the battlefields ofAzeroth and experience dazzling real-time, player vs. playercombat. STEP INTO THE ARENA AND DUEL PLAYERS TO EARN AWESOMEPRIZES. DECEPTIVELY SIMPLE. INSANELY FUN. FEATURES: • Battle iconicheroes from the Warcraft universe, the Lich King, Illidan, Thrall…They’re all here! • Competitive real-time (player vs. player)combat • Win, craft, or collect powerful cards • Assemble powerfuldecks and dominate your opponents • Rich single-player missionsYOUR GAME TRAVELS WITH YOU. Hearthstone is linked to your BlizzardAccount, allowing you to play from your mobile device and desktopwith ease. Play Hearthstone, wherever you go. Whether it’s yourfirst card game or you’re an experienced pro, the depth and charmof Hearthstone will draw you in. So, what are you waiting for? InHearthstone, it’s a battle of wits, and building decks to createpowerful strategies. Download and play today. SUPPORT: Are youexperiencing problems? Visit:http://us.battle.net/hearthstone/en/forum/13619661/ LanguagesSupported: * English * Français * Deutsch * Español * 简体中文(Simplified Chinese) © 2018 Blizzard Entertainment, Inc.Hearthstone, Battle.net, Overwatch, World of Warcraft and BlizzardEntertainment are trademarks or registered trademarks of BlizzardEntertainment, Inc., in the U.S., and/or other countries. Digimon Heroes is an exciting and free cardgame where you collect, fight and evolve more than 1,000 of yourfavorite DIGIMON characters! Join the card battle adventure, buildyour teams, and conquer your enemies all over the Digital World ofFile Island.Match cards to fight, heal and execute epic combo moves in unique,strategic Digimon battles. Evolve your Digimon or use fusion topower them up, and launch even more massive attacks!• STRATEGIC MATCH-3 CARD BATTLES- Match Command Cards to form chains and devastate yourenemies!- Play cards of the same color to fight, heal and unleashultra-powerful moves!- Fight alongside your favorite Digimon Heroes• COLLECT YOUR FAVORITE DIGIMON- Digimon champions from common to legendary – Collect over 1000 ofyour favorites!• DIGIFUSE, DIGIVOLVE AND LIMIT BREAK- Evolve your Digimon to more powerful forms- Digimon fusion powers up your favorite characters- Break through your Digimon’s limits to unleash their fullpotential• EPIC BATTLES AND SPECIAL EVENTS- Fight your way through File Island and push your team to itslimit with epic events and challenges!- Battle heroes and take on incredible challenges in analways-evolving online worldDigimon Heroes is the ultimate strategic card game, with all ofyour favorite Digimon in the fray! Collect cards, battle enemies,and evolve your Digimon to combat the ultimate enemy on FileIsland!Download Digimon Heroes and join the card battle today!Note: Digimon Heroes! is free to download and play but there arein-app purchases available. If you do not wish to use thesefeatures, you can disable in-app purchases in your device’ssettings. In-app purchases are available via the Shop within thegame. Please refer to In-App Purchases for price tiers.A network connection is required to play.For more information on BANDAI NAMCO Entertainment AmericaInc:Checkout out our website:http://www.bandainamcoent.com/home.htmlLike us on Facebook: https://www.facebook.com/BNGAMobileFollow us on Twitter: https://twitter.com/BNGAMobileSubscribe to our Youtube channel:https://www.youtube.com/user/BNGAMobileTubeDownload and play other BANDAI NAMCO games! :• PAC-MAN• PAC-MAN Championship Edition DX©2015 Akiyoshi Hongo, Toei Animation. © SCG Characters LLC. DigimonHeroes! and all related logos, characters, names, and distinctivelikenesses thereof are the exclusive property of Toei Animation andSCG Characters LLC. All Rights Reserved. Used UnderAuthorization.©2015 BANDAI NAMCO Entertainment Inc. All rights reserved.Published and distributed by BANDAI NAMCO Entertainment AmericaInc. Texas Holdem Poker is the world's favorite online poker game. 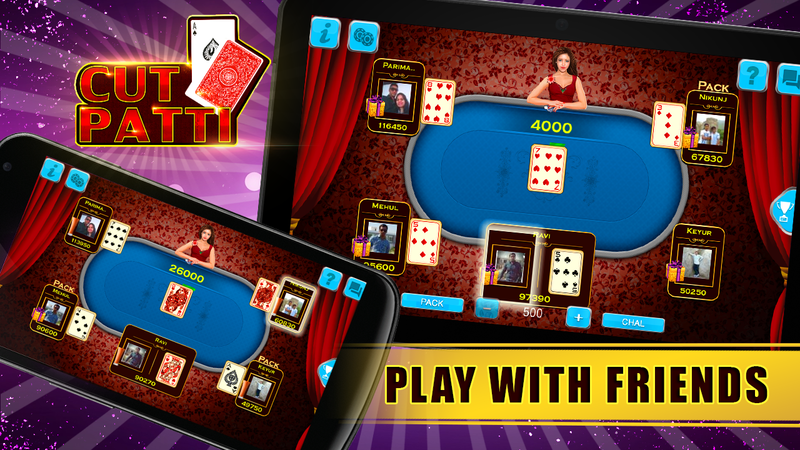 NowPlay the best hold'em poker on your Android offline, NO WIFIREQUIRED! Beat every cowboy in Texas, in this great "Texas Hold em"Poker app called Governor of Poker 2 ! Millions of poker playershave enjoyed Governor of Poker, without an internet connection.With an easy Texas Holdem Poker tutorial for players that don'tknow how to play Texas poker, but want to learn poker and goodopponents for star poker players with real texas poker skills! Thepoker chips you win with player Texas Holdem are required to buyhouses, win transportation, play against advanced poker AI cowboys,win Texas and beat the new Governor of Poker. TRY GOVERNOR OF POKER2 FOR FREE, THEN UNLOCK THE FULL POKER RPG ADVENTURE IN THE GAME!•Get ready for many hours and hours of Hold'm Poker play: - Over 80challenging poker players to beat; - 27 stunning casino saloons in19 amazing Texas Holdem cities; - Get hold of the five big pokerassets. •Amazing and Fun Texas Poker AI Engine: The best pokerengine will challenge poker beginners and world poker championsalike. Refine your card tactics to match the countless holdm pokerplaying styles of your opponents and watch them go "Steamy" andTilt after showing off your great card bluffs! The offline Playerswill play better in each new city and poker tournament, no cheatingallowed! •Full Story and Progression: Governor of Poker 2 startswhere the first game ended. A new Dallas government decided to puta ban on all Texas Holdem poker games and now considers the game tobe illegal in Texas. Take matters in your own hands and prove themwrong! Poker isn't a game of luck, but requires poker skill. •PlayAlways and Everywhere Poker offline, no internet connectionrequired: There is no live internet connection required to play agood game of Texas hold'em poker, you can just play Governor ofPoker 2 offline anywhere you want! Don't wait for real worldplayers in multiplayer poker games, that don't respond or leave thepokergame or go all in every poker hand. Just play thissingleplayer pokergame against realistic AI players! •Customizepoker characters: Prove you are a big shot by customizing yourpoker style to fit your reputation. Vvisit one of the many greatcowboy hat shops across Texas and get yourself the poker deluxe hatof your dreams! The game includes HD Poker graphics for a greatexperience on all Android mobile devices: phones and tablets.Travel through Texas by Train, Casino Boat or Coach and play pokerwhilst on your way to the next poker city in Texas. Every city haslots of exciting cash games and big poker tournaments with evenbigger Chip prizes, competition and bigger tournaments. You’llexperience more checks, calls, raises, folds and all-ins than youcan imagine! Enjoy sit-n-go tournaments, Wildcard tournaments,highstake poker, Cash games. ** NO WIFI CONNECTION REQUIRED ** Haveyou always been a Texas holde'm pokee fanatic? You'll love Governorof Poker 2! What are you waiting for cowboy? Click install,download and prove you're worthy of the great poker title: GOVERNOROF POKER ! **** Governor of Poker 2 Reviews **** - Gamezebo: "Makespoker accessible without being too simple. Great sense ofpersonality. Excellent poker tutorial.. It's a Royal Flush." -Jayisgames: "Governor of Poker 2 is well-made, highly accessible,and surprisingly addictive for all kinds of players." - Zylom:"Play this challenging poker game now!" - Miniclip 5 stars out of5: "Howdy! Finally it’s here, Governor of Poker 2! Packed with lotsand lots of poker extra’s! More cities to conquer and tournamentsto play!" ** NOTE: This pokergame is FREE to play in Amarillo, butwill require IAP to enjoy the full game. Please [email protected] if you have any issues or suggestions, wewould love to help! Facebook :https://www.facebook.com/governorofpoker2 Download Governor ofPoker 2 now and enjoy the Texas Holdem Poker Adventure!